Three hundred years ago, Rachel was human. She had a loving father, a cherished twin, and a little sister. She went to church regularly and worried about her brother in his darkest moments. In the middle of the night, she was ripped from her family and turned into a creature she had never heard of before. Over the centuries, Rachel, now Risika, has shed her humanity to survive, becoming the very monster she once refused. Now someone is taunting Risika with her past, digging up painful memories and opening old wounds. In the vampire world, letting this insult pass is a sign of weakness, and Risika refuses to be prey. In the Forests of the Night used a brilliant combination of Risika’s memories and her present to unfold the story. In the present, Risika is shown as a flawed character having fears and carrying old scars. The memories gave a wonderful explanation for her personality, showing her struggle with the morals she grew up with and her exploration of the church’s opinion of her now that she was damned. As the story progressed, I was pleased to see Risika make great leaps in growth, both past and present. I loved Alexander, Rachel’s twin. His character was compelling, struggling with peculiarities that would mean his death if the church discovered. What made things worse for him was his faith in the church, and it was hard to see him worry over his soul in a way that made Rachel pity him, but unable to help him. Even after Rachel’s death, he continues to play a major, if indirect, part in Risika’s life, haunting her and almost dictating the way she lives. 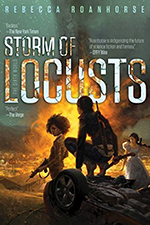 With such a short novel, there wasn’t a lot of room for world building, but what was given was enough to flavor the story. The vampire lore is explained in depth, giving a great description of the powers they’re capable of. The social hierarchy is touched on just briefly, but was sufficient and lent structure to the story. Triste witches were also introduced, and while they caught my eye, they weren’t explained too much. The world is definitely a colorful place with many possibilities. I would have liked to have seen more development of the other characters. Aubrey in particular was rather intriguing, being the source of Risika’s fear, baiting her to no end, and I feel there’s way more depth to be explored than the opportunities that were given. Ather and Jager felt as if they should have had more page time as well. They both played a major role in Risika’s development, even if Jager’s hand was more subtle than Ather’s. Fortunately, the short time there was with the characters was able to carry the story. 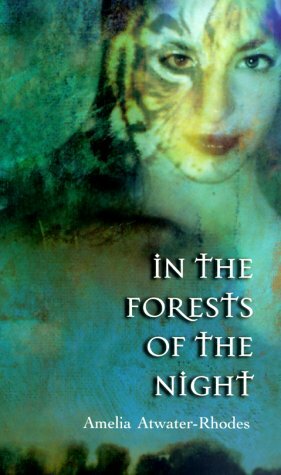 While In the Forests of the Night is definitely written for a younger audience, I still enjoyed the novel. 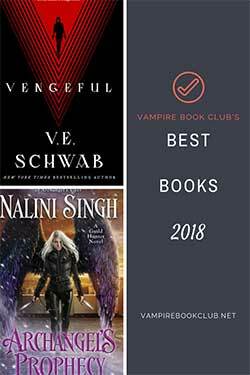 It was an incredibly fast read and I loved every moment of it. It’s a great start to a different and refreshing world.